Officine Panerai launched the Luminor 1950 3 Days Titanio DLC PAM00617 and PAM00629, two Special Edition models - each consisting of only 300 units - which adopts the same DLC-coated titanium case but two different dials. The case is 47 mm in diameter, like the vintage models, but still very light thanks to the use of titanium, a material which also offers the benefit of being hypo-allergenic. 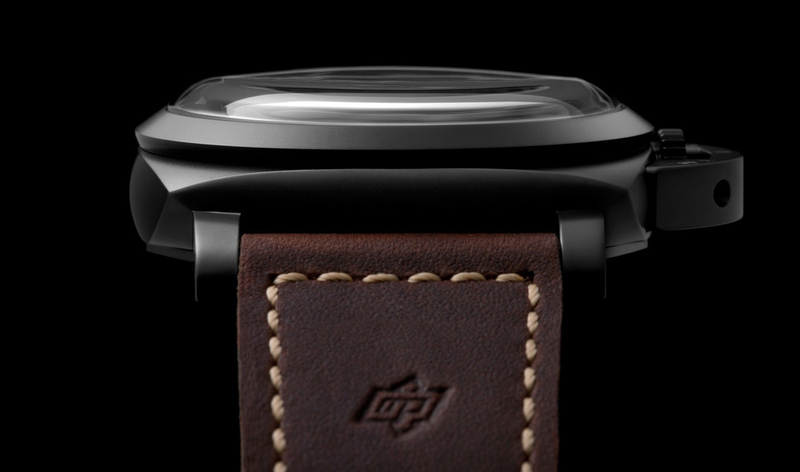 The case guarantees water resistance up to 10 bar (a depth of about 100 metres). The black DLC (Diamond-Like Carbon) coating creates a nice contrast with the brown leather strap and contributes to emphasise the sporty look of the watch. 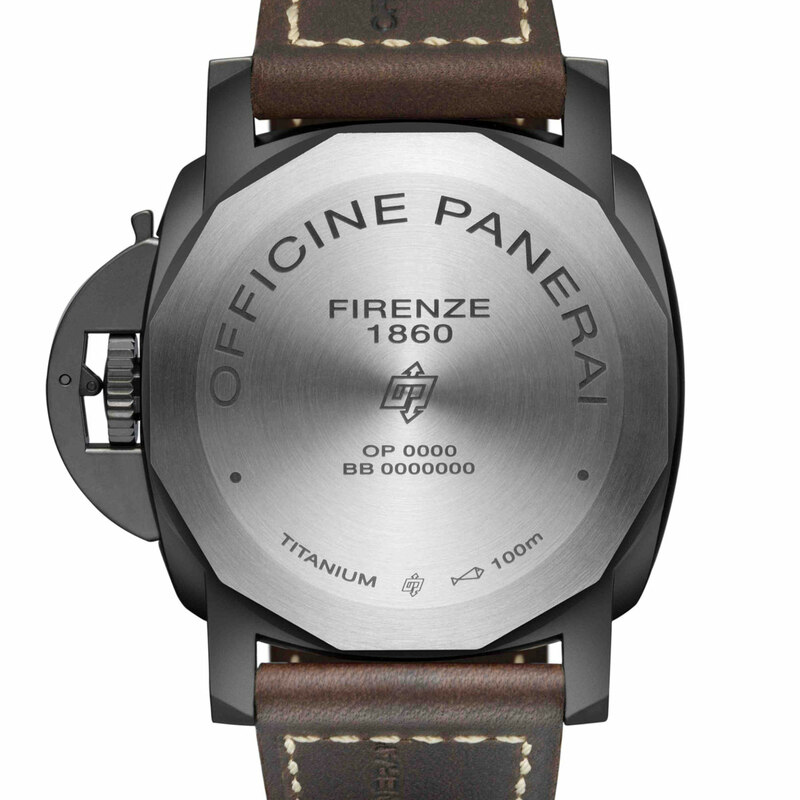 The date "1950" is engraved on the lever locking the winding crown, a detail which links to Panerai’s history. It was in 1950 that the distinctive lever device was designed to make the watch worn by the commandos of the Italian Navy even stronger and more water-resistant. The two new models differ from each other in the dial, in both cases protected by a rounded crystal. 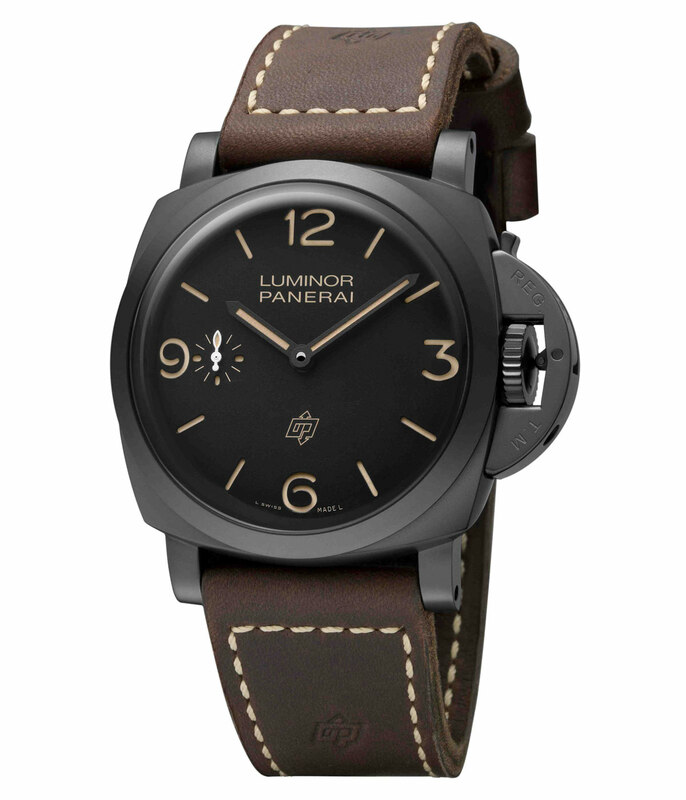 The PAM00617 has a black dial with the classic Panerai design, with large bar markers and figures, the seconds counter at 9 o’clock, the OP logo and the traditional sandwich construction. The PAM00629 has a black dial with a combination of Roman and Arabic numerals and graphic markers. 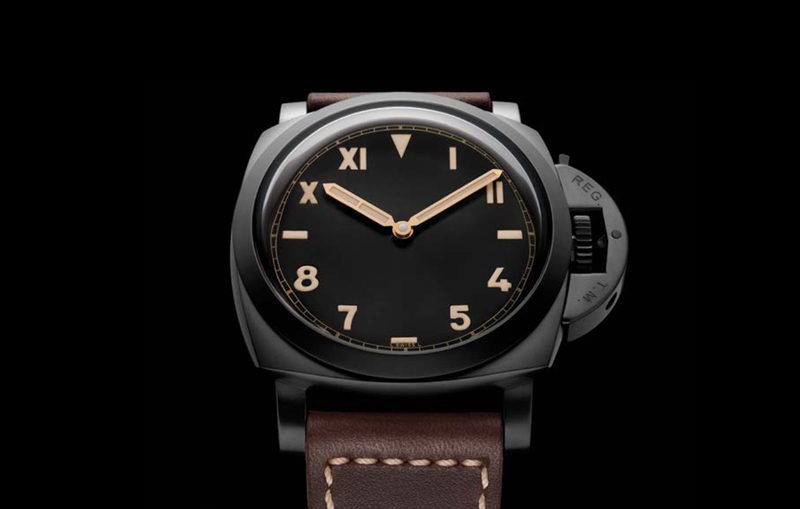 Known as the California dial, this variation reproduces the design of the first Panerai watch in history, the Radiomir of 1936. 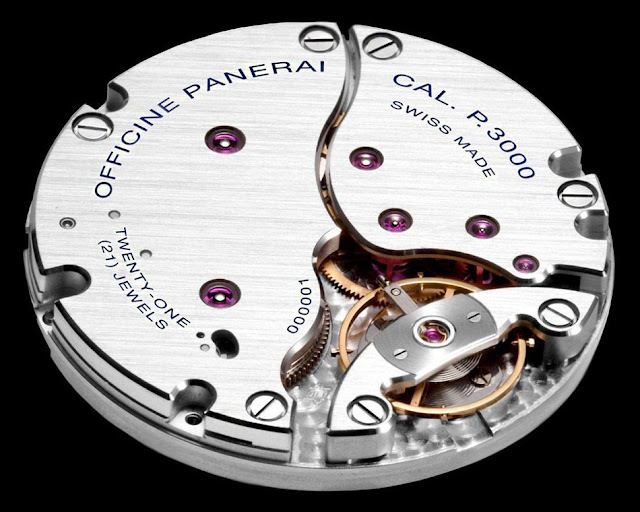 The movement of choice is the hand-wound P.3000 calibre, robust and reliable with its 13.2 mm balance wheel held in place by a transverse bridge. Beating at 21,600 vph, it offers three days of power reserve. The P.3000 calibre features a device for quickly setting the time, enabling the hour hand to move in jumps of one hour at a time, without interfering with the movement of the minute hand or the running of the watch. The PAM629 has something special that attracts me a lot. A strange dial with no seconds - which is off in a sport watch - but I love it. Officine Panerai Luminor 1950 3 days Titanio DLC PAM617 and PAM629. 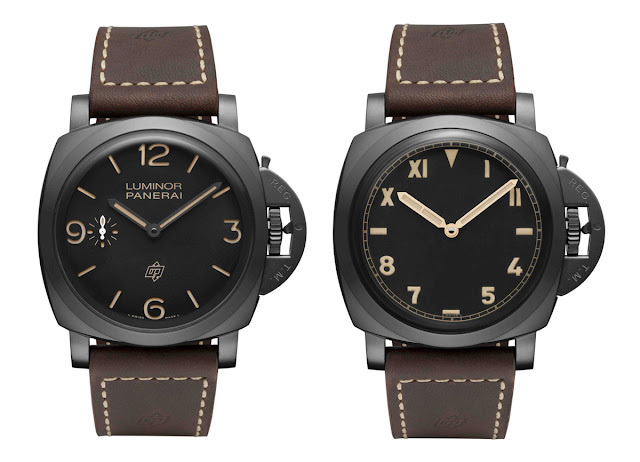 Officine Panerai launched the Luminor 1950 3 Days Titanio DLC PAM00617 and PAM00629, two Special Edition models - each consisting of only 300 units - which adopts the same DLC-coated titanium case but two different dials. 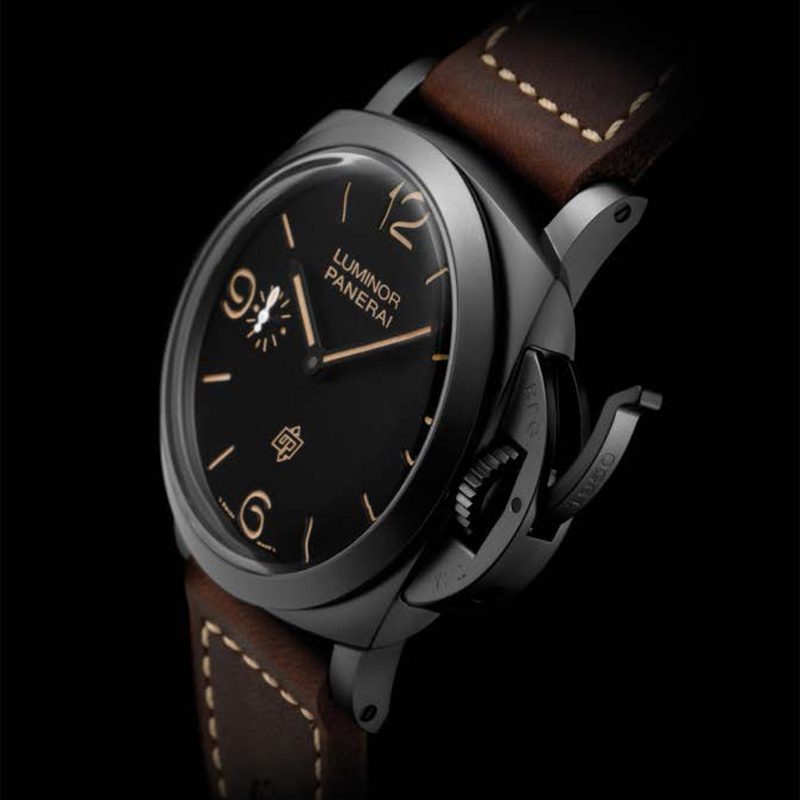 The Panerai Luminor 1950 3 days Titanio DLC PAM00617 and PAM00629 will have a retail price of Euro 11,300 / US$ 11,700.